Containerships has chosen the Kent based port for its second direct service to and from the southern part of the UK. The service offers regular and fast connections with Poland, with improved service and transit times from Gdynia of 3-4 days and 4-6 days for the return journey. “We are delighted to welcome Containerships’ second weekly service to London Thamesport. Containerships’ port of choice reflects the growing interest we are seeing for short sea container services into London Thamesport. This additional direct service from Gdynia provides a reliable, cost effective short sea alternative to road transport from Poland. This will provide a welcome option for UK importers struggling with driver shortages and higher haulage rates on the continent. London Thamesport can handle a variety of deep and shallow-drafted vessels carrying a broad range of cargoes, including, containers, break-bulk and project cargoes. Efficient shipside operations, fast turn-around of vessels and road vehicles allows London Thamesport to provide its customers with a cost-efficient service in the heart of south-east England. Containerships is a leading short sea, end-to-end operator providing full service logistics from producer to consumer. It is present in 21 countries and operates a fleet of 14 ships across the North and Baltic Seas as well as the Mediterranean. 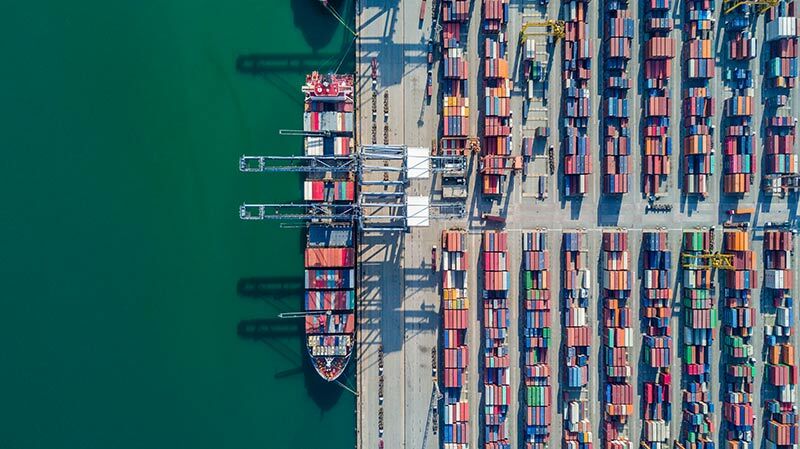 Containerships’ services are designed to offer a competitive, environmentally friendly alternative to road transport through frequent departures and the use of 45-foot containers that offer the same loading capacity as road trailers.